Palms & Pints: Welcome to Smashville! … and other great NHL cities to watch a game. Welcome to Smashville! … and other great NHL cities to watch a game. Back in 2005 my dad and I went on a road trip to Pittsburgh to see a Pittsburgh Penguins hockey game. I have always been a massive hockey fan (I'm Canadian after all) and the Penguins are my favorite team. The trip to Pittsburgh was awesome and ended up being the first of many NHL hockey adventures for me. Between then and now I have seen NHL hockey in 10 different cities, with at least one new destination being crossed off my list each year. My goal is to see a game in all 30 rinks, however until then I will lay out my top three hockey trip destinations to date! Just a hop-skip-and-a-jump from my home in the Toronto area (if you consider a 7 hour drive a hop-skip-and-a-jump), Columbus has always been one of my favorite spots for hockey action. The tickets are dirt cheap and there is plenty to do right outside the arena afterwards. Like another city on this list, they have built an entertainment complex around the arena, to provide fans with a great full-night experience. The "Arena District" as it is known, is built on the site of the former Ohio Penitentiary. like this at Nationwide Arena isn't out of the question! When you think hockey, the "Valley of the Sun" doesn't really come to mind right off the bat. It should. The warm Arizona winter is the perfect getaway for those coming from Canada or the northern US. The desert landscape is beautiful, and like Columbus, the tickets are cheap and very easy to come by. One downside is that the team isn't actually located in downtown Phoenix, but instead in the suburb of Glendale. That doesn't mean there isn't tonnes of options before and after the game though, as the "Westgate" entertainment complex hosts plenty of top notch bars and restaurants including Jimmy Buffet's Margaritaville. 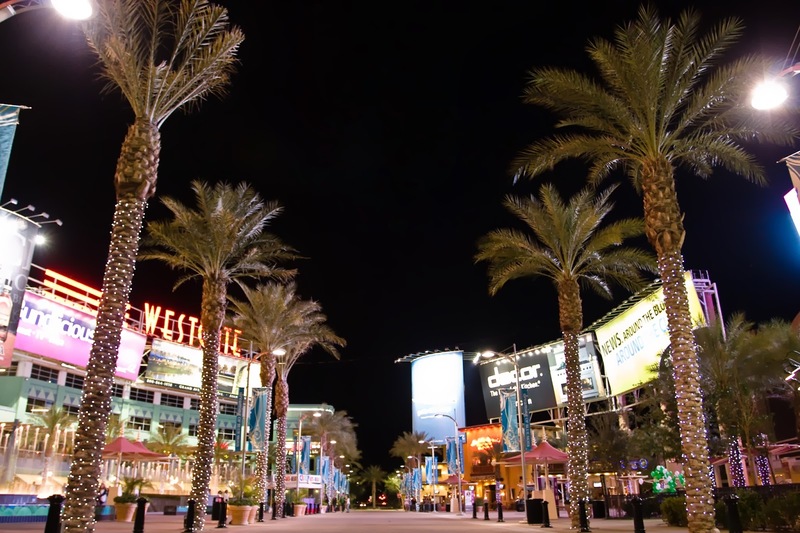 Two things not lacking at Westgate … Palms & Pints! "Smashville" as the team likes to market it as, can't be beat for a fun night of hockey down south. The rink is ideally located steps from the main tourist drag, so after the final buzzer sounds, you are only a quick stroll away from some southern girls bar dancing Coyote Ugly style! The vibe in this town is unlike anything I have experienced before, it just breeds fun. Hockey with passionate fans, country bar after country bar, southern cuisine, what more could you want? Have any questions about these locations? Can you recommend another great hockey trip city? I would love to hear from you in the comments section!